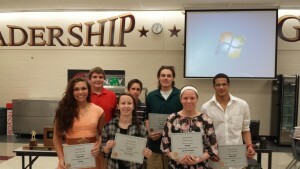 Jimtown held the winter sports awards program on Monday, March 16, 2015. 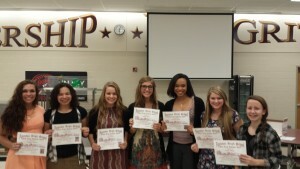 The awards programs at Jimtown are a chance to honor not only the accomplishments on the court, mat or field of our athletes but also the many great things our athletes do in the classroom. Jimtown believes strongly in the concept of “education-based” athletics. This means that athletics is just another tool that we use in accomplishing our mission of education. 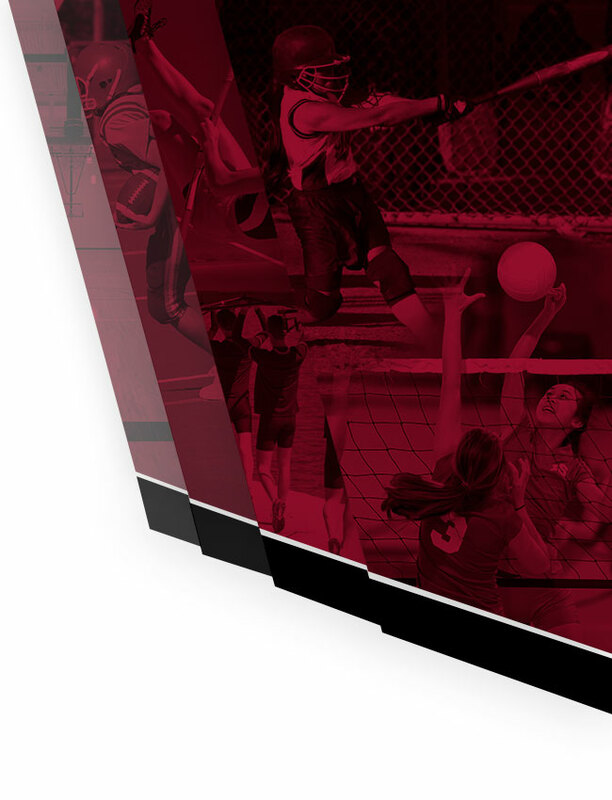 Athletics are just an extension of what is happening in the classroom. Winning games is great…but winning or losing games is not the end of the story. We hold these kids up as great examples of leadership in the classroom as well as the athletic field of endeavor. 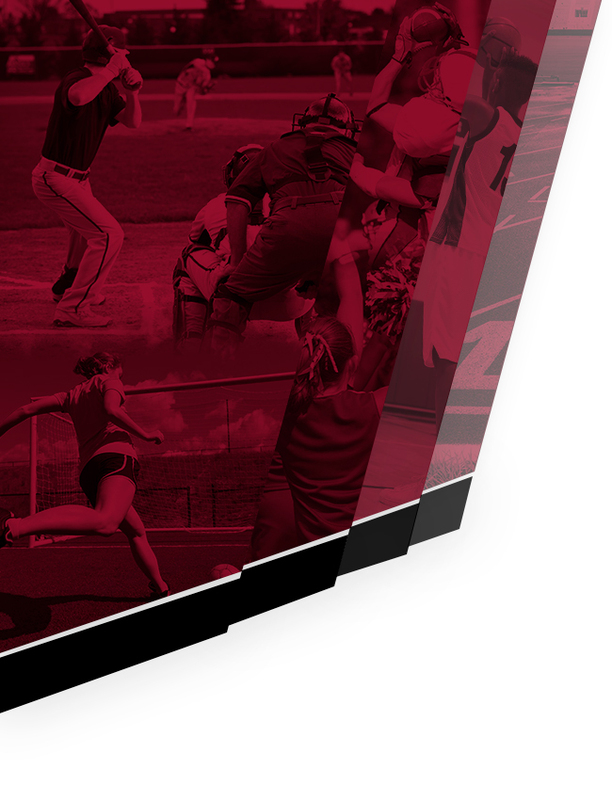 A total of 100 students were on athletic rosters for the winter of 2014-2015. 60 of the 100 made the honor roll on the last grading period—which is a minimum of 3.0. 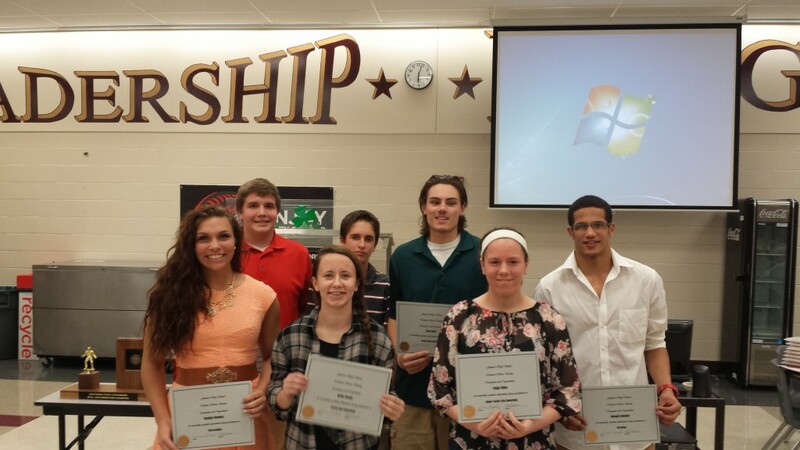 This is a percentage of 60% of all winter athletes at Jimtown High School are on the honor roll. The average GPA of all students at JHS including all those who did not participate in athletics: 2.681. Highest Individual GPA’s (as noted above) where: (Back Row L-R): AJ Hurtekant and Holden Price from JV Boys Basketball, Nick Floyd from Varsity Boys Basketball and Marquis Schieber from Wrestling. (Front Row L-R): Heather Bozman from Cheerleading, Katie Woods from Varsity Girls Basketball and Paige Miller from JV Girls Basketball.